Single malt whiskies Caol Ila and Glenkinchie have unveiled ambitious plans to overhaul visitor experiences at their distilleries in Scotland. The proposed changes form part of a £150m strategy from owner Diageo to revamp its Scotch whisky tourism facilities, centred on Johnnie Walker’s planned new global visitor attraction in Edinburgh, announced in April this year. The scheme will link the new Edinburgh attraction to four single malt distilleries that are central to Walker: Caol Ila on Islay, Glenkinchie in the Lowlands, Cardhu on Speyside and Clynelish in the Highlands, representing regional flavour variations. 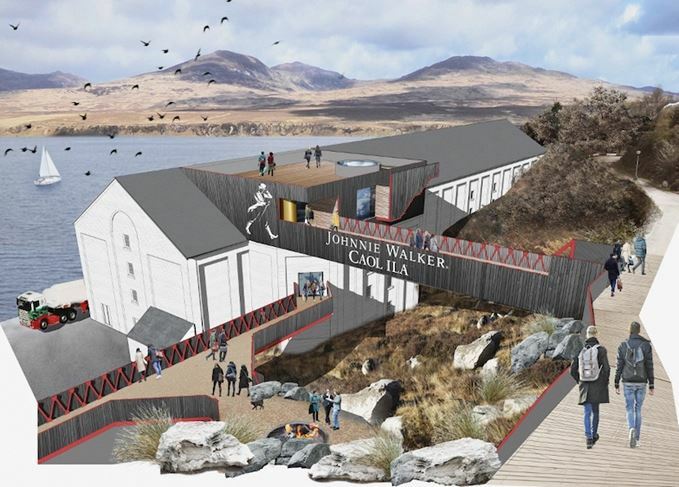 At Caol Ila, a new visitor centre will be created in the distillery warehouse, including a bar with views across the Sound of Islay to Jura. Visitors will enter via a footbridge leading into the roof of the warehouse from new parking facilities on the hill above the distillery. ‘A lot of careful thought has been put into the plans to ensure we minimise any impact on the local community,’ said Pierrick Guillaume, Caol Ila distillery manager. Islay residents were the first to view the plans last week, with Diageo expecting to submit a planning application to Argyll & Bute Council before the end of this year. Subject to planning permission, the work is scheduled to begin in 2019. 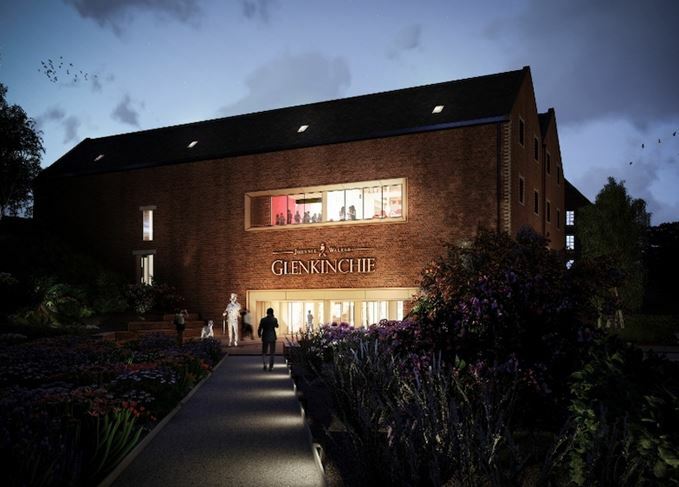 The plans at Glenkinchie – formally submitted to East Lothian Council this week – centre on the renovation and conversion of the distillery’s red-brick warehouse buildings into a multi-level visitor experience, including a welcome lounge, shop, bar and cocktail-making classroom, tasting room and ‘cask draw experience’. Diageo said a number of newer buildings would be demolished to help create a ‘welcome garden’ in front of the new centre. If the scheme is approved by the council, work will begin in 2019, with completion scheduled for 2020. By linking the new Johnnie Walker attraction in Edinburgh with the four malt whisky distilleries, Diageo hopes to create a ‘Johnnie Walker tour of Scotland’, encouraging visitors to Edinburgh to venture into Scotland’s rural communities. Detailed plans related to the upgrades to Cardhu and Clynelish will follow later, while the overall £150m scheme will also include improvements to Diageo’s other single malt distillery visitor centres across Scotland. Blended malt expression is back on the shelves after a successful return to the US and Australia. Auchroisk, Brora, Cambus, Caol Ila, Glenkinchie, Lagavulin, Linkwood, Port Ellen and more.